Two standout FLG Alumni, John Crawley (2013) and Tyler Warner (2014), are taking on the real world by storm. 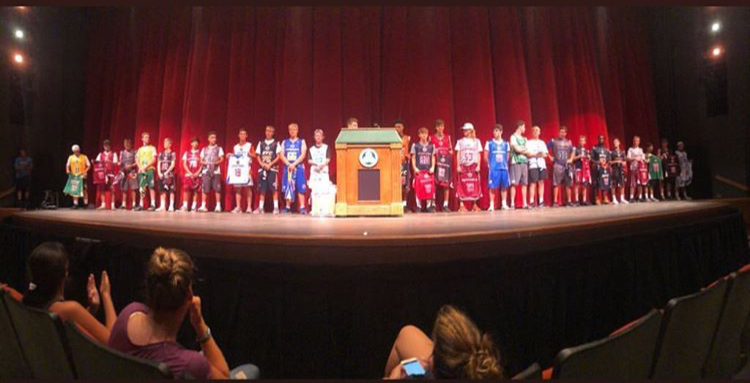 Check out their note worthy answers to some tough questions and get the insight on how their journey with the game of lacrosse not only prepared them for game day on the field, but also prepared them for everyday life. 1. When did you start playing lacrosse, and when did you realize that you wanted to pursue playing in college? 2. Talk about your college experience on and off the field, and how did playing in college prepare you for the real world? 3. Talk about your Professional Lacrosse career thus far, how is the game different, what are you doing in terms of training to maintain and be able to play at that level? 4. Currently, what are you doing for you career/ job, how has lacrosse helped you pursue your career? 1. I started playing lacrosse in 4th grade after my dad was rummaging through the newspaper, probably Newsday, and saw that the majority of kids on Long Island that were committing to play a division I sport, were committing to play lacrosse. Although he had never played, he figured that my brother and I should at least give the sport a try. I had grown up playing baseball, football and basketball, and figured that I would probably play football or basketball in college, until about 8th-9th grade, when I started to see that I was decent at lacrosse. I ended up loving the sport (even though admittedly, football is still my first love), and really considered playing in college at around this point. 2. Going to Yale, was definitely an interesting experience. Playing lacrosse there was by far the best part of my experience while in school. The social aspect, for me at least, wasn’t anything to write home about, even though I know most people on my team thoroughly enjoyed themselves. For what Yale lacked for me off the field, was definitely made up for while on the field. I loved pretty much everything about the program. I loved coach Shay and the rest of the coaching; really just a bunch of great guys that have more fun than you would think and love lacrosse. I also loved the opportunity to be able to compete daily with my teammates. The “toughness” culture that Yale had, was exactly what I was looking for and I have no complaints from a lacrosse aspect at all over my 4 years. Winning a national championship was pretty cool as well. I think college lacrosse prepared me for the real world because it really tested my ability to manage time effectively. Obviously, going to Yale you know that the academic workload will be tremendous, especially as a pre-med major. There were a lot of long nights, and grindy semesters but getting through it while also maintaining a high level of lacrosse play better prepared me for the daily rigors of adult life (and hopefully med school down the road). 3. The MLL was another interesting experience. I am very grateful to the Florida Launch for giving me an opportunity to play professionally, and for giving me a chance to compete against some of the best players in the world. Honestly though, it paled in comparison to the college lacrosse experience mainly because of the structure of the league; and I guess that kind of speaks to the state of professional lacrosse today. Showing up on Friday for a night practice, then rolling the balls out on Saturday isn’t exactly the most ideal situation for producing a great lacrosse product, but you make it work. Hopefully, things will be on the up-swing with the new PLL forming so that professional lacrosse will actually feel like a professional sport. Overall, the game isn’t that much faster than college lacrosse, but obviously the players for the most part are better. . It’s definitely a little harder to play defense, due to the rule differences between college and pro, and the increase in skill level of the offensive players. I think that college lacrosse bringing back the “dive” and implementing a shot clock, will make the transition from college to pro even easier. As far as training goes, I’ve pretty much tried to stay on-track with my college workout regimen, even though that’s made difficult while working full-time. Just finding time to get your cardio and weight-training in after a long day is sometimes a hassle, but I think I’ve done a fair job of managing that so far. “May have gotten a bit long winded in my answers. LMK if you need anything else! 1. I started playing lacrosse in 4th grade. My best friend to this day, Tommy Amato signed up for lacrosse, and, being a baseball player, I made fun of him for it. When he came back with a lacrosse stick, and could somewhat catch and throw after his first couple of practices, I knew I had to beat him. I was signed up shortly after because I couldn’t let him be better than me at it. Playing in college first became a realization when I first made an FLG team going into 9th grade. Knowing that I was capable of playing with some of the best players on Long Island made me feel like it was a possibility, lofty… but possible. I didn’t think I’d ever go on and play division 1 lacrosse necessarily, but when I started to love training, competing, and seeing progress is when I really committed to making it my dream. 2. I loved my college lacrosse experience at Johns Hopkins University. From my Freshman Year, to my Senior Year… From the coaching staff, to the 50 best friends I made in that locker room every year… From the world class education, to the big-time atmosphere around the Hopkins lacrosse program… From 6AM Practices on Homewood, to the 4th quarter in a one goal game vs. Maryland in the Final 4… I am forever grateful for every phase of my experience, every teammate I had, for every win and every loss. The lesson I’m most thankful for learning through college is learning about what the preparation process truly looks like, and eventually becoming competitively obsessed with that process. When you step on campus and are led by Coach Petro, Benson, Dwan, Dyer etc. and a group of seniors that have been there for four years – you quickly get to see what true preparation looks like. I quickly realized that the guys who work hard – play. And if I could take every day as an opportunity to, almost competitively, work harder than whoever was in eyesight – that I could earn the opportunity to play. From a young age, my dad taught me – what you put in, is what you get out… it’s that simple. This is something that was very obvious once I was at school. On the foundation of this belief, I knew I could put myself in a position to be successful athletically and academically. That’s a lesson that I know I could bring with me into whatever I do. Whether it be trading stock on Wall Street, or Coaching College Lacrosse like I do now. What you put into things is what you get out of them and when that’s as clear as it was to me when I first stepped on campus – I knew I had to be better than everyone at THAT. Not at lacrosse, but at being better at preparing. 3. I’ve loved the past two years being a professional lacrosse player. Being able to compete at the highest level of our sport is a humbling stage to be on. I’m always amazed playing with such impressive players, from different backgrounds and playing styles – and have loved all the opportunity to learn and grow as a player, and coach. Most obviously, possessions are quicker… but, the lacrosse is all the same. The ability to prepare as a team is the thing that becomes difficult to deal with at times, but the talent across every roster often masks that fact. I’m blessed with the opportunity to make what I love to do my career, not only can I continue to compete as a player at the highest level – but I’m also able to coach division 1 lacrosse at the highest level at Colgate University. My job and lifestyle allows me to train just as I did as I did when I was in school. I try to lift 4-6 times a week, play wall ball and shoot at least 2-3 times as well. Being able to train with my players is something I look forward to every day. Whether it be putting together a shooting workout for myself and a couple of our guys, or watching film with a guy or two – I’m able to constantly be thinking lacrosse. My life is lacrosse, I eat, sleep and think the game. I think this allows me to stay prepared, and focused on getting better. When I was presented with the challenge of comparing lacrosse and entrepreneurship, I quickly learned this wasn’t a challenge at all. When you extract the characteristics of what it takes to become great at lacrosse, you will quickly learn those same qualities are necessary to become a successful entrepreneur. Lacrosse is a sport that is on the rise. It’s a sport that is catching on. It’s cool. It’s relevant. It’s a sport people are interested in and want to explore for themselves. Entrepreneurship is the same. Watch Cliff and I discuss more about Lacrosse & Entrepreneurs below! One of the beautiful things of live streaming, you have to figure it out on the fly. A lot like the sport of lacrosse itself. Players on the field don’t have the luxury of stopping the play, turning their heads to the sideline and asking their coaches what play to run. The game is live, free flowing, and goes up and down. Be prepared! A form of preparation that takes lots of proper practice. How many times were you put in a situation where you had to read, react, and make a decision? Something we try to do a lot of in our FLG program. Play FLG, get a lot of mindful practice. We think about this stuff, a lot. It’s all about preparing our players for the next level. Being ready to play, live. Anyways, enjoy the show! Many more great clips of information, guests, and lacrosse talk to come. Is Long Island Lacrosse the Best?! The association between ‘the best’ and ‘largest hotbed’ is evident when lacrosse enthusiasts debate. A lacrosse hotbed includes deep roots in the game in one geographical area, tremendous growth at the youth level with players picking up sticks before they can walk, High School programs who are dedicated to going above and beyond in order to compete during the Spring lacrosse season, and programs unfolding players who go on to become impact players at some of America’s elite lacrosse programs. Using this definition of hot bed, Long Island is no doubt a lacrosse hot-bed. Second, the best lacrosse includes sophisticated, persistent, and regimented player development from youth thru High School. Long Island is an example of a geographical area with an over-abundance of moms, dads, and coaches who know and teach the sport. These coaches passion for teaching the game has given athletes on Long Island a chance to learn the game young, play the right way, and go on to excel beyond High School. There are other pockets around America that have parents and grandparents who were raised on the game, now offering their passion and insight to the next generation of stars. Some of these pockets include Philadelphia, Baltimore, or Boston. Lastly, the best lacrosse includes areas who have people that talk about the game. Philadelphia, for example, has a site (PhillyLacrosse.com) dedicated to promoting the sport, the players, and teams in their area. 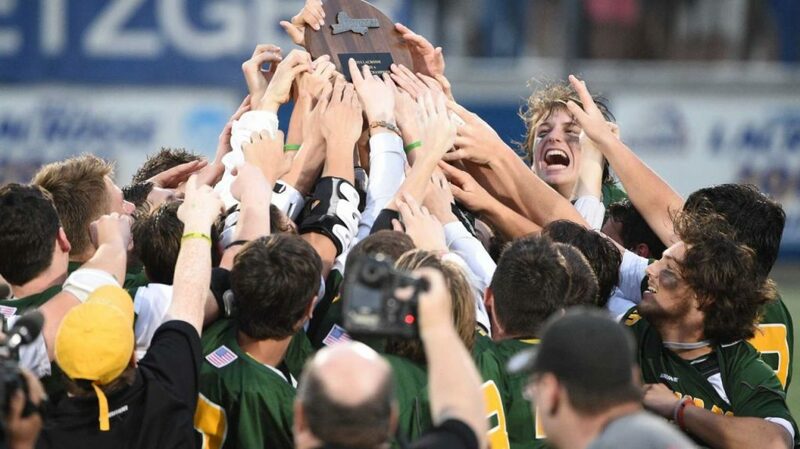 The Genesee Valley area of New York has a site (BLaxFive.net) with in depth score updates, stats, write-ups, and player commits for every High School lacrosse program in the area. On Long Island, FLG’s digital magazine (Long Island Lacrosse Journal) previews every High School team on Long Island, includes key returners with highlight videos, coaches interviews, games of the week, and much more. Media surrounding the sport of lacrosse is growing, especially in some of America’s top hot beds. National networks, such as the Lax Sports Net (LSN) are doing a great job covering the sport Nationally at all levels, youth, high school, college, professional, and indoor. While it’s up for debate who has ‘the best’ lacrosse, it’s evident that many pockets around the country have some really good lacrosse. For FLG, the rise and interest surrounding the sport has created this urge to talk more and more about it. Besides FLG’s digital magazine, blog posts, weekly email updates on lacrosse on Long Island, we are rolling out a LIVE STREAMED show via YouTube & Facebook called Beyond The Game. This new platform will not only give us an opportunity to talk about the sport, but we can now connect and share linchpins, mavons, coaches, experts, professionals, and enthusiasts surround the game itself. My favorite stories in sport usually aren’t about the game itself. 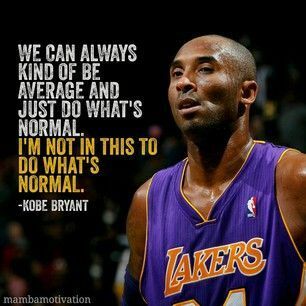 Greatness isn’t defined in the moments between the lines, on the court, or in the outfield. Greatness should be recognized when sports figures are confronted with an issue of great importance and decide to use their wealth, fame, and network to help that very issue. They help by supporting a cause that is dedicated to improving the world by acting locally and thinking globally. They help by rolling up their sleeves and getting to work. 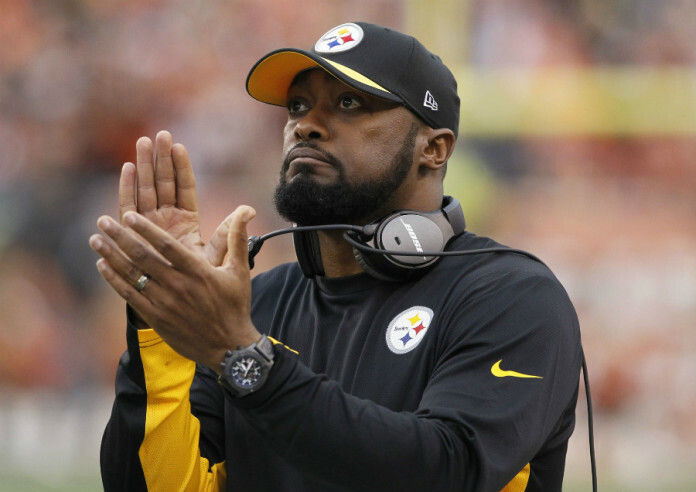 When Mike Tomlin, Pittsburgh Steelers Head Coach, learned about O.U.R. he jumped at the opportunity to do something very important: help! He is viewing the issue of slavery worldwide as something he must fix. Tomlin craves an opportunity to get better, to see new things, to rescue, to help. Through football, Tomlin has found a platform to help his community, his country, and this world come together. Tomlin is going ‘beyond the game’ to find deeper meaning for what it means to be a professional and a leader. There are many figures in sports ‘like Mike’ who use their sport as a platform to contribute, to give, to help. These are more than figures, they are leaders. Learn more about what Mike Tomlin is doing beyond the game, right here. FLG Lacrosse is excited to start our very own live streamed show about going beyond the game of lacrosse. Stay tuned for updates on some of the guests, organizations, and topics we will be covering each week. Follow The Streamcast Network to learn more about FLG Lacrosse! Buying expensive and specialized training equipment does not always make you a better athlete. Being apart of a high-end training facility/ gym is not always needed to see results. The United States Marine Corps have a saying, “I am the gym.” It’s that simple. Whatever sport you play, athletes in general can do so much on their own and see outstanding results with minimal training equipment. It really boils down to are you putting the work in, and is what you are doing making it harder, tougher and slightly more attentive to detail. Let’s zoom in on the sport of lacrosse. Getting a new stick or equipment is not always the answer to becoming a better lacrosse player. The lacrosse market offers great products that focus on aspects of the game, and don’t get me wrong, some of these products can definitely be utilized, however are they all that necessary? Let’s take you through an optimal training session with as little training equipment as possible. The first thing you are going to need is a back pack or training pack. Your pack is your life preserver. It will have all your essentials needed to become a better lacrosse player. In your pack you’re going to want to include, 20 lacrosse balls, a tennis ball, 5 cones, and a jump rope. Additional items to include are, a shooting rejector, a shooting target, a small hurdle and a speed ladder. If financially you can’t afford some of these items, a shooting target can simply be made by tying a 12 inch string to a soda can, a hurdle can be made out of inexpensive PVC and a speed ladder can substituted with a rope. Now that you have your pack it is time to train. Put your helmet, gloves and cleats on your stick, put your stick on your shoulder, hop on your bike or your skateboard or your roller blades and ride up to the field. Look at that, you have already started your training and you haven’t even arrived at the field yet. Now find a wall and start your wall ball workout. Talk to your coaches about the right individual wallball/ workout routine for you but for now let’s keep it simple. Make a song playlist on your phone or ipod, 5-7 minutes long and crush 100R, 100L, 50 catches and switches, 25 shovels each hand and 25 BTB’s. If you want to make it a little more tough, add some more specialized passes. Defensive players stand further from the wall and work on overs. Offensive players add some dynamic movement to simulate more game like situations. You can even do the wall ball routine with a tennis ball to develop softer hands or bring a backup stick and fill the shaft with sand to add a little more weight. Once you have completed the wall ball routine, lets get out to the field. Set up your rejector and your target (pick a spot on the cage, tie the can or place the target and work on hitting it over and over again) and put your lacrosse balls dead center 5 yards away from the goal. Work on shooting with lead foot up, back knee down, chest up and chin over your lead shoulder. Torque you body and let it loose, shooting for power dead center of the cage. Start your progression to your feet, crow hopping into the shot and move the balls back until you are top center, bouncing the ball or hitting the target. Move to the right and left wing, adding hitches and rollbacks, resetting your feet, working on time and room shooting. Now lest go back to top center if you are a middie or behind if you are an attackman. Break out the cones and speed ladder or rope. Go through a progression where you are getting the feet going (one foot in and out, ickey shuffle, two feet in etc.) and use the cones to simulate defenders. Work on several doges including but not limited, splits, rolls, S’s, faces and V’s. focus on shooting on the run, angling your body to the goal and staying within the pipes, DON’T FADE. Our goal is to get 100- 150 GREAT shots on cage. Don’t quit until your shots are dialed in. If you are a defenseman it’s a little tougher to train on your own but talk to your coaches. There are several drills one can do using cones, ladders as well as other items that work on your hands, feet, body positioning, agility and throwing checks. Three quarters down, it’s time for the fourth quarter. Get up to the school yard and find a jungle gym. Our workout is as follows. 200 pushups, 100 pull ups, 100 body squats, 3X 25 of burpees, 30 leg lifts, 3X 25 crunches and 3X 100 on the jump rope. Remember, “YOU ARE THE GYM.” Hard work is not earned, its just something we must do to get better. But remember you don’t have to pull out the wallet to get better. I guarantee you can find most of the stuff outlined here laying around the house. Great job, now its time to finish strong, ride home and enjoy a meal. If you put the work in, you will see results. Be determined and start a regiment. It starts now. Back in 7th grade this FLG Player decided to leave the program and follow his friends from his town to another travel lacrosse program. After 3 years and not enjoying his experience at the other program he returned in his Junior Year. 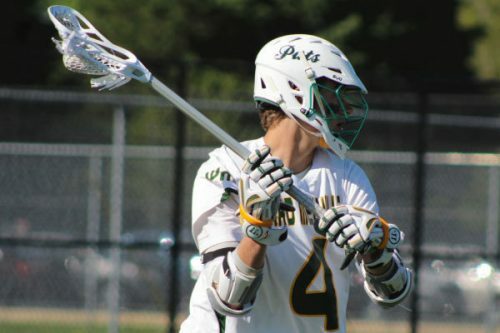 After helping him with his recruiting process this player committed in Early July to attend and play lacrosse at a very high level academic school. There were still 2 more summer tournaments left in the summer when he committed to college. This player notified our FLG Directors that he would not be attending the last 2 tournaments of the summer due to work conflicts. Our Program Director spoke with him at length on the commitment that he had made to his team and that this was not the way FLG Student Athletes conduct themselves. Our Director made it clear that He had made a commitment to his team and he should be there on the sideline & field to play with his team. What was the conversation with the Parent about? Coach I am disappointed why you did not return my son’s phone call when he contacted you to tell you he committed to his College Choice. I am committed to my team. I am committed to attending practices & games. I am committed to being there for my teammates. Why can’t parents understand what this means? Why are parents only thinking about their children? When does selfish behavior become okay? It is NOT Okay to be Selfish! Giving more than you receive! Why is our society okay with people thinking about themselves before others? When I see an act of kindness it warms my heart! I will always remember when Carly Driscoll walked over to a new player on her FLG Team and welcomed her to her team when that player was feeling alone. This is an act of kindness that should never go unnoticed. If we want our world to be a better place for our children STOP thinking about you and think about helping others. Selflessness-thinking of others before yourself-Welles Crowther. What more can one do than try and help others before worrying about themselves! I hope we can all reach out and be there for a stranger-lets make this world a better place! Ask FLG Lacrosse what I can do to help? With the summer lacrosse season ending, it is time to reflect on the past year. All the hard work, blood sweat and tears, the time and effort put into the game we all love. Did you get better? There’s an old saying that “champions are made when no one is watching,” however with the way competitive club lacrosse is going, training is the focus. So, we arrive at the question, are you training the right way? Is what you are doing when no one is watching the right way to do it? Are you fundamentally sound? FLG as well as other competitive lacrosse clubs offer a variety of training packages, all of which aim to bring out the best player you can possibly be. But not only being a skilled lacrosse player, but rather specializing in your specific position and game like situations pertinent to your position. Repetition, building skills, developing IQ, it takes 10,000 hours to become an expert at something. Clearly you cannot invest 10,000 hours in your club. So, therefore you must train on your own. But training the right way is key. Reflecting on and evaluating your skill is a great way to become a better player. Talk to your trainers and coaches. Ask them questions and find out, what areas of your game you are already good at and what areas you can be better at. Then don’t forget to follow up with the question “How do I accomplish or make that skill better.” The focus here is that you are developing a plan. Yes, shooting 100 lacrosse balls is great but are you shooting them the right way? Will shooting 100 lacrosse balls make you a better player? The quality of your reps is key. Before you go up to the field to train, develop your plan. Start off with a quick wall ball warm up. If shooting is the focus for the day, start off with some body mechanic drills that focus on proper hand and foot placement. Then go into shooting half speed where you are really dialing into what your body is doing and where the ball is going. Speed up that process to mimic game speed and begin to add dynamic footwork to work on dodging. A speed ladder is also a great tool to supplement footwork. Adding exercises like push-ups and pull-ups to make you a little more tired is a great way to develop the mentality of playing to your best when you are tired. Pick a spot on the field. Maybe we focus solely on the wing today and move to up top if we are a middie or down low behind the goal if we are an attackman. “Greater love has no one than this, that one lay down his life for his friends (John 15:13).” The Red Bandana, a symbol of the purist form of love and compassion. Welles Crowther was a true example of this. Native of Nyack NY, Welles grew up playing sports and hanging out with his friends. Whether it was on the street, in the classroom, or on the field, Welles was always willing to lend a helping hand. When he was 16 years old, he joined the local fire department as a junior firefighter. Given to him by his father, the Red Bandana became a part of him. He carried it everywhere. In college, Welles was a star athlete, ripping it up on the lacrosse field. He possessed all the intangibles a coach wants in his players, and his teammates respected him for that. The people he met and experiences he had all shaped him into the man he was, preparing him for the toughest day of his life.